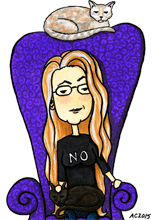 After drawing Kirk, Spock, and McCoy, I decided the next logical (heh) piece would be the Enterprise herself. I kept to the warm colors of the models from Star Trek: The Original Series instead of the colder versions you sometimes see in cgi versions, and I love how it looks floating in a sea of stars, phasers shooting off at some unknown enemy. 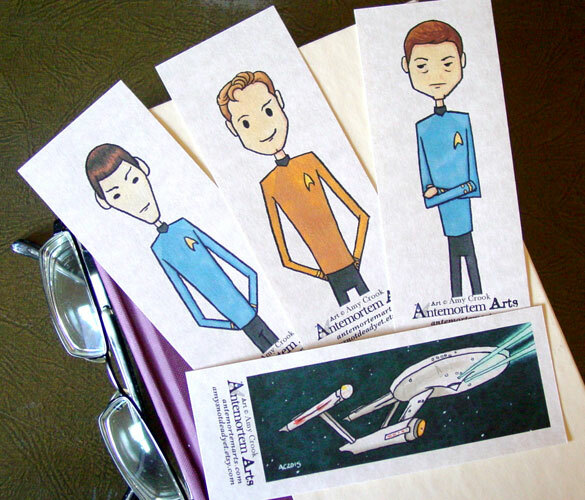 You can get the Enterprise and her three main men as a bookmark set in my Etsy shop. 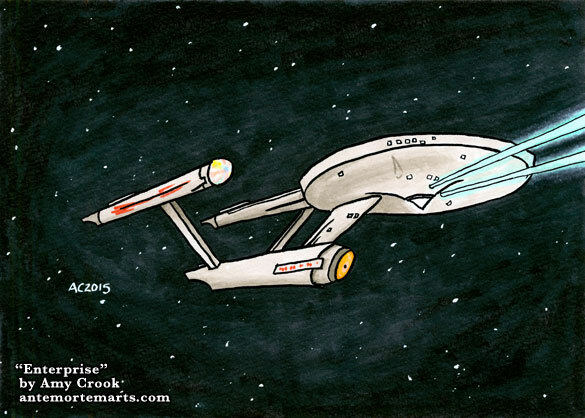 Enterprise, 7″x5″ pen & ink, Copic white, and Copic marker on paper.